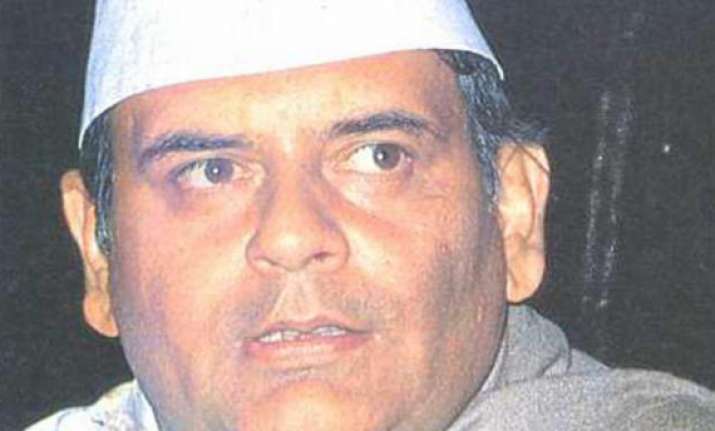 New Delhi, Jul 26: Arun Nehru, former union minister, was cremated here today in the presence of Sonia Gandhi and her family. Nehru, a cousin of Rajiv Gandhi during whose Prime Ministership in the 1980's he was a powerful political figure, died last night after protracted illness. He was 69. Setting aside their differences which led to Nehru leaving the Congress party and joining V P Singh to form the Jan Morcha in 1987 after having served as Minister of State for internal security in Rajiv's cabinet, Sonia Gandhi, her son Rahul and daughter Priyanka attended the funeral. Nehru is survived by his wife Subhadra and two daughters. The funeral pyre was lit by Nehru's grandson Akhil. Other dignitaries present at the crematorium included Delhi Chief Minister Sheila Dikshit, BJP leaders L K Advani and Arun Jaitley and Union Ministers Sachin Pilot, Anand Sharma and Farooq Abdullah.